Looking for the best-prebuilt gaming PC? 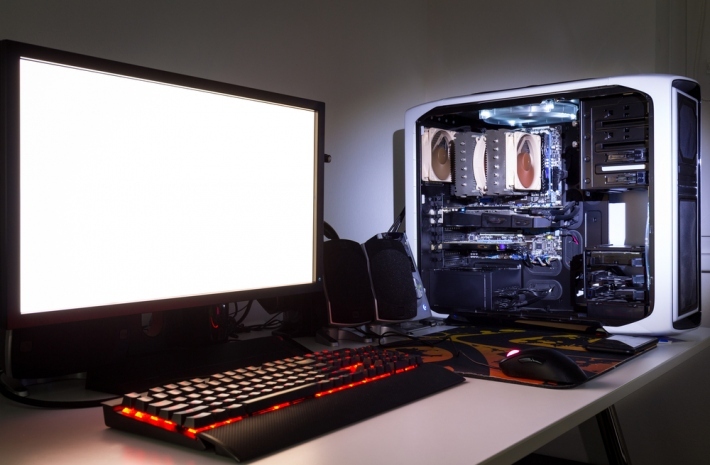 If you are a gamer, you would know just how important a powerful CPU is – however, it’s not the only thing that matters when you want to invest in a gaming PC. Along with a great CPU, RAM, and Hard disk size, you need the right GPU specs too. We did the hard work to tell you which ones you could get for yourself – these pre-built gaming PC’s seems to have it in plenty, offering you a top performing gaming system at an affordable rate. The CyberPower Gamer Extreme sports a powerful Intel 6th generation i5 640-2P 2.8GHz Quad-core processor that comes equipped with a Wi-Fi-USB adaptor. With the Windows 10 home 64-bit in-built, you don’t need to invest in a new OS, while the Intel B250 Express Chipset just adds to the power. The 8 GB DDR4 memory doesn’t hurt either. With the 4 GB AMD Radeon RX 580 Video card, which is VR ready, expect to play nearly all games today, without any distortion in frame rates. Most new games, including the League of Legends, DOTA 2, and Warcraft, perform without any hiccups. Among the ultimate gaming desktops today, offering the latest Intel i7 core processor with a mammoth 16 GB DDR4 memory and a GTX 1070 card. The PC comes equipped with a CyberPower battle Box essential and a hard drive of 1 TB if you purchase this desktop. The NVidia GeForce GTX 1070 with the 8 GB Graphics memory means that you wouldn’t have to invest in any gaming PC for at least the next five years, if not more. Unlike some other competitors, there are USB ports aplenty – it sports a 3 x USB and a 2 x USB with a network Ethernet and Audio 7.1 Channel. The system includes an Intel core i7700K quad-core processor, and if you are looking for maximum storage, then this is the right choice for you at will also provide you with a 2 TB storage capacity. A gaming pro motherboard that is an essential component for any gaming PC comes along with a windows ten professional 64bit in this package. The NVidia GTX 1080 with an 8 GB video card is the ultimate combination and is what every gamer look for on a PC nowadays. Now, do not worry anymore about the storage capacity as this computer also includes a 16 GB space with a heat spreader for efficient working. Unlike its competitor or its earlier version, the Omega series comes with an adaptable Wi-Fi system and a free keyboard as well as a mouse just for you. The 1 x USB Gen2 Type A and 3.1 Type C is an added bonus for you and you get a display port of the 1.4 version. While gaming PCs work by their own, and don’t need extra protection, the same cannot be said when it comes to your phones and tablets. Many of the smartphones today can help you multi task too, whether it be creating or editing videos, watching movies, and more However, you know that you would need the right case cover for it. If you are looking for the right iPhone case cover, or tablet cases hop on to casehaven.com.au – they have a wide range of gadget accessories you need, from screen protectors, leather cases and more, for all your favourite brands from Samsung to Apple. With great designs, and an even better price, you sure won’t be disappointed.